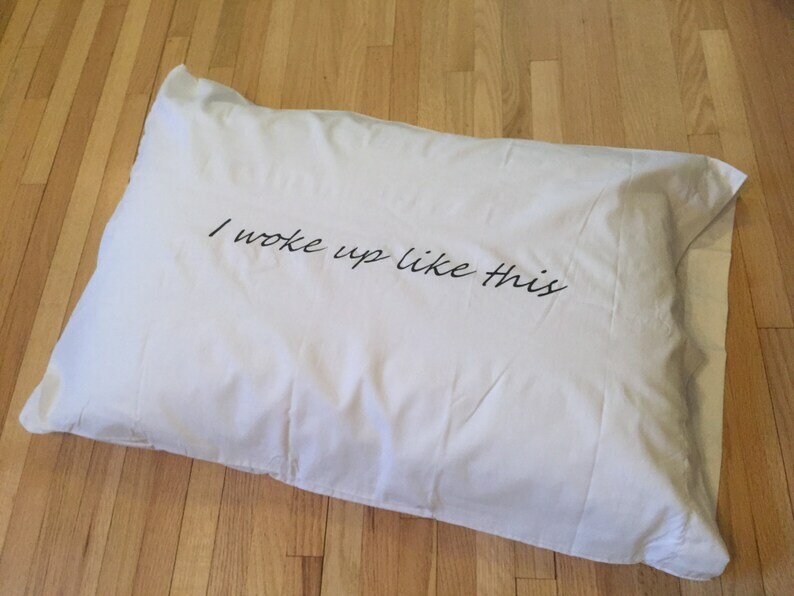 "I Woke Up Like This & No way You Woke Up Like That Pillowcase Set"
The Best Couples Pillow Case Set Ever!!! These aren't Egyptian Cotton since the thread count is super low. "Less than 200 Thread Count". You don’t want these pillow cases to be high-quality, since they are the best gift ever. Just wash with tons of fabric softener. Basically, the same brand of the Pillow Cases as in a college dorm room. No need to impress your partner with thread-count.